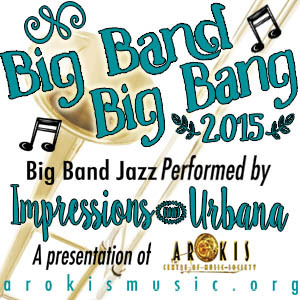 Joint Concert: Big Band Big Bang! Tickets are $15, $10 for seniors and students, and are available from the band or at the door. Every cent of the ticket price goes to the North Shore Crisis Services Society. The church waives rental fees, tickets, flyers etc are donated and a member of the congregation supplies the intermission goodies. Tax receipts are available if you spend $20 or more. Watch this blog for updates on performances. Music coordinator for Northwood Jazz Vespers in Surrey. Please add me to your events and news letters. Hi Gerry – thanks for your interest in our bands. We don’t maintain a mail list (although we should). All events are posted to our blog, so please subscribe to that. Sorry for the tardy response. I need to pay more attention to my website duties.